Spending your money is much different that saving it. Making that change after decades of saving can be challenging and unnerving. You may have changed jobs several times in your career driven by the need to produce income to save, pay off debt, and support your lifestyle. Your income has always come from your work. Now you will no longer work, and your income needs to come from somewhere. Let us guide you in planning your retirement income, whether you have several structured sources, or your income must be derived from your savings. Want to have – once you can exist comfortably, what do you want to do in retirement? Family, vacation, hobbies, charity, etc. Legacy - what do you want to leave for the next generations of your family and how to structure it. 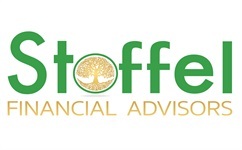 Contact us to begin a discussion about your finances, and your future. Expenses for potential in home or nursing facility care can erode savings or redirect income that was designed for taking care of a surviving spouse. Transferring the risk of this expense to an insurance company to protect the wealth you have saved can be essential to planning. Protecting these assets so they are available to your spouse and family can be a surprisingly affordable solution, and should be a consideration of any retirement income plan.